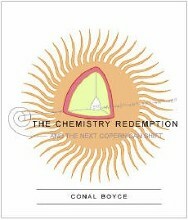 The Chemistry Redemption and the Next Copernican Shift (2010, 488 pages) This work is a philosophical treatise, accompanied by hands-on chemistry experiments. Available at amazon.com. 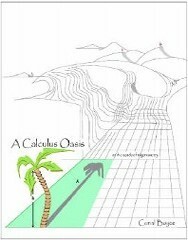 See my related article "On the boundary between laboratory 'givens' and laboratory 'tangibles' " in Foundations of Chemistry here. 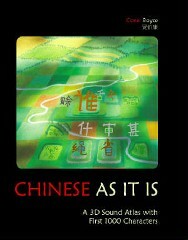 Chinese As It Is: A 3D Sound Atlas with First 1000 Characters available on amazon.com, reviewed in Sino-Platonic Papers (2011) 208:109-112. These two books are also available for (free) downloading from this site as PDFs. These are not quite what you would call 'ebooks' but the effect is similar because both pdfs are very heavily hyperlinked. See also Page Two where other pdfs are available for downloading. Available as a paperback from Lulu.com, or free pdf here. Paper presented at the 2014 Biennial Conference on Chemical Education, Grand Valley State College, full title: Unsung hero of the electrochemical cell: the wave front traveling near c. Click below for pdf.